Saturday, April 13, 2019. Gates Open at 9:00 AM. Ride Hours: 9:00 AM – 3:00 PM at Three Oaks Farm in Rixeyville, Virginia. 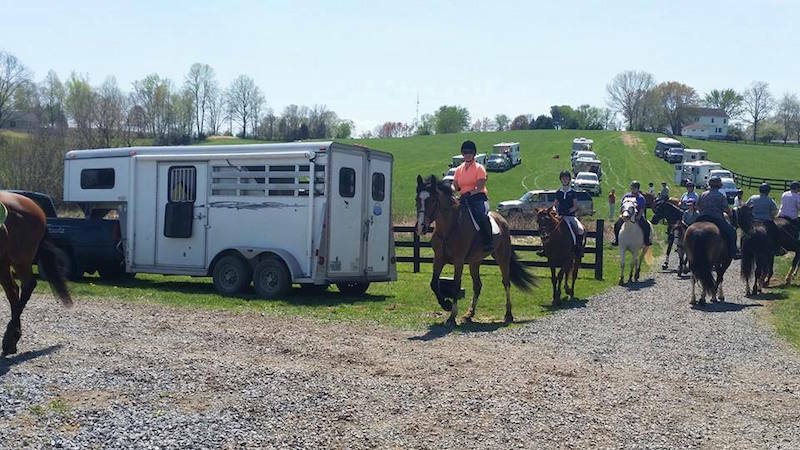 This is a Trail Ride and Scavenger Hunt and all registration fees are donated for the benefit of Little Fork Technical Volunteer Large Animal Rescue Team. $40.00 per rider. Entry is secured with nonrefundable payment. Download the Pleasure Ride Flyer for complete details (see link below). Click Links Below for to view and download the 2019 Trail Ride Flyer, Registration Form and Waiver Forms. NOTE: Every participant must complete and submit a registration form, the Little Fork TLAR waiver form and the Three Oaks Form waiver form along with their payment to be admitted to this event. Only 80 Spots Available for Riders!